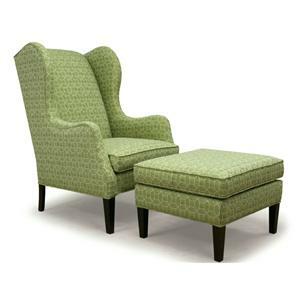 Looking for an oversize upholstered chair and ottoman set with contemporary style? 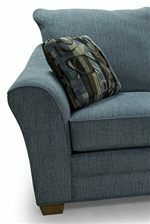 You will love this plush chair and a half with a high back cushion, flared arms, and a box seat cushion for your living room, master bedroom, or den. The chair and ottoman are made in the USA with quality craftsmanship including a high-gauge comfort coil system for the seating springs inside. The cover shown is Faith Steel with Sigma Pewter accent pillows but hundreds of other options are available by special order so you can have a modern look that is customized to your own personal style. The 90 Contemporary Chair & 1/2 and Ottoman by Lancer at Wayside Furniture in the Akron, Cleveland, Canton, Medina, Youngstown, Ohio area. Product availability may vary. Contact us for the most current availability on this product. 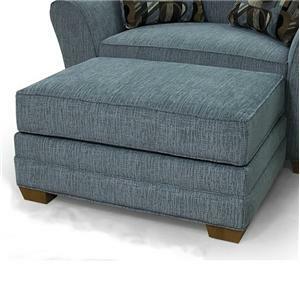 LIN99 Chair & 1/2 1 55" 40" 39"
LIN98 Ottoman 1 34" 23" 18"
Leg or Skirt Tapered Wood Legs. Wherever possible we build the legs to be part of the frame itself for extra strength and rigidity. Warranty Lifetime limited warranty for frames and springs, five-year limited warranty for cushioning, one-year limited warranty for fabric. Lancer warrants the frame and springs to be free of defects for the useful life of the original fabric to the original owner. Five year limited warranty on foam cushion cores in its original fabric to the original owner. Three year limited warranty on sleeper mechanism. One year limited warranty on fabrics against wear and seam opening under normal care and use. Fabrics which have been chemically treated or peel, fade or shrink are excluded. The 90 Style gives you contemporary style for your home. For quality craftsmanship, each piece is made in the USA to provide superior construction with a great look. Take your pick from hundreds of additional fabric options to fit your home's decor by special order. Coordinating pieces also available (not shown) include the item numbers 91 chair, 92 loveseat, and 94 ottoman. The 90 collection is a great option if you are looking for Contemporary furniture in the Akron, Cleveland, Canton, Medina, Youngstown, Ohio area. 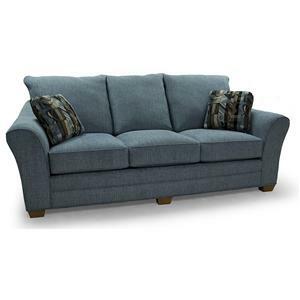 Browse other items in the 90 collection from Wayside Furniture in the Akron, Cleveland, Canton, Medina, Youngstown, Ohio area.